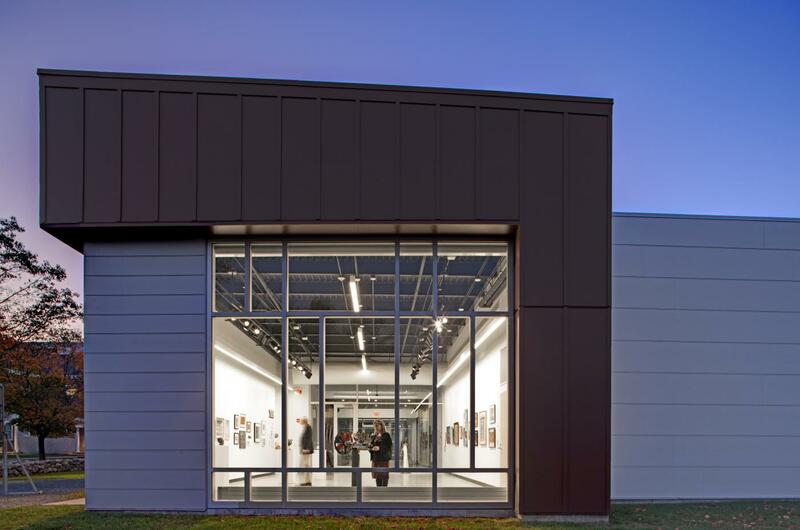 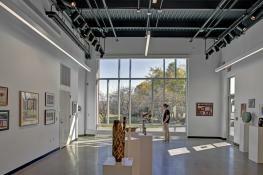 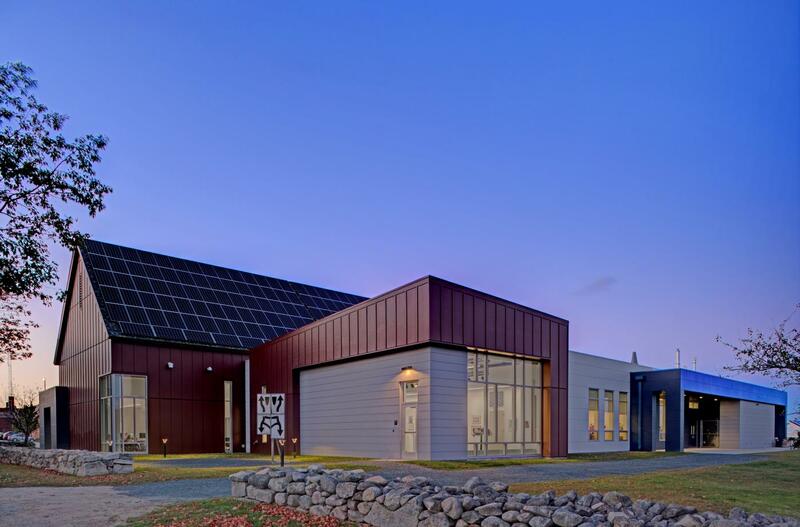 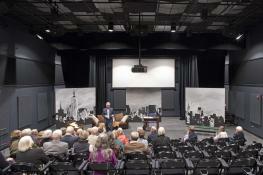 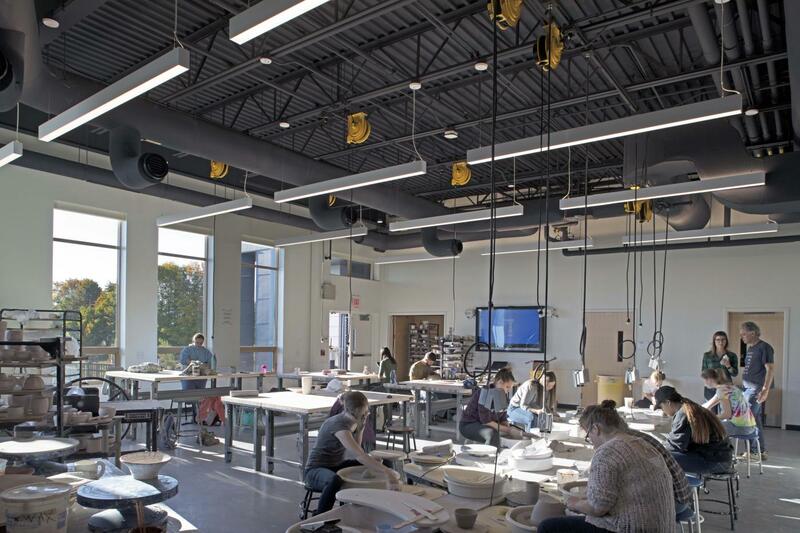 The new 15,000-square-foot, single-story Center for Art + Design on the campus of Colby-Sawyer College features a state-of-the-art black box theater, outdoor sculpture garden, studios for ceramics, sculpture, painting, and graphic design, along with faculty offices and support areas. The Center will be home to the new Davidow Fine Art Gallery, with views of Mount Kearsarge, which will offer national and international, museum-quality exhibitions and opportunities for students’ and professional artists’ artwork to be displayed. 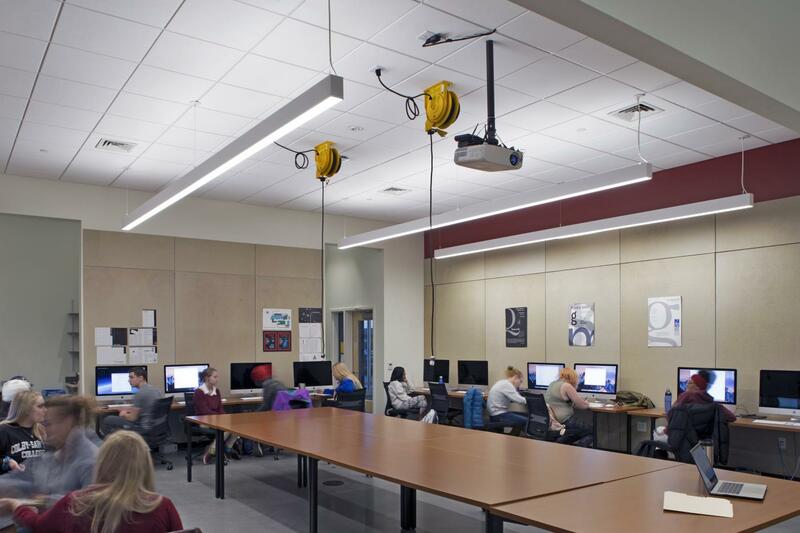 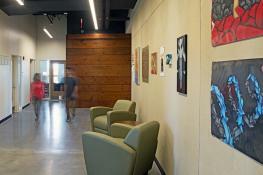 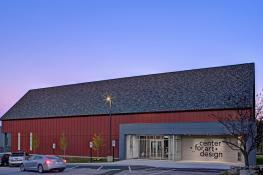 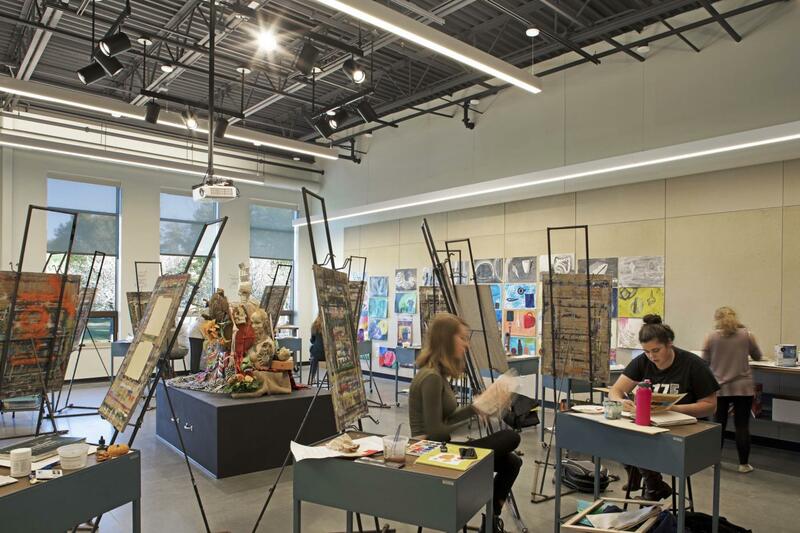 The purpose for the Center for Art + Design is to unify the instructional, performance, and exhibit spaces essential to the College’s art program into one facility. 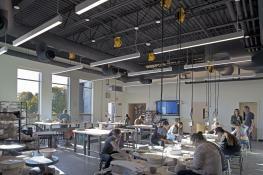 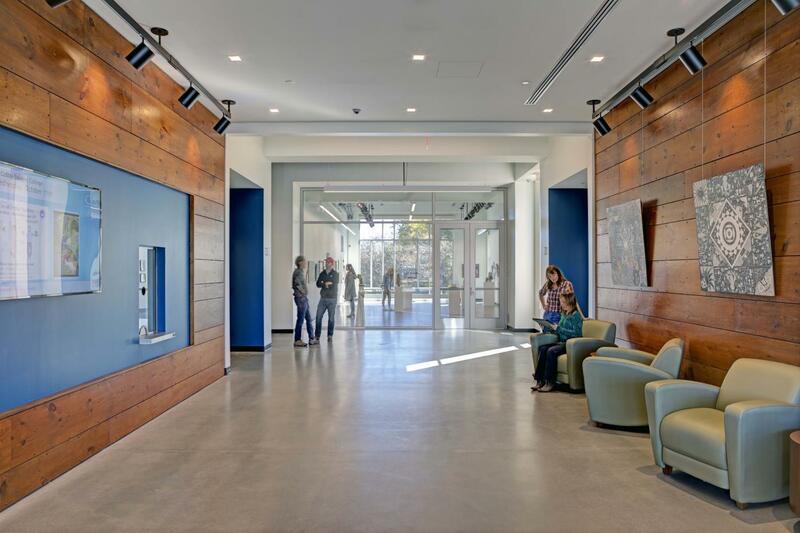 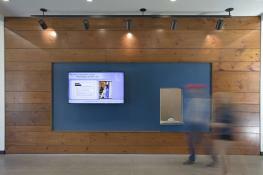 The building is located at the south end of the core campus as part of a developing academic quad, near the Silver Level LEED Certified Windy Hill School, an early childhood laboratory school previously completed by North Branch Construction. 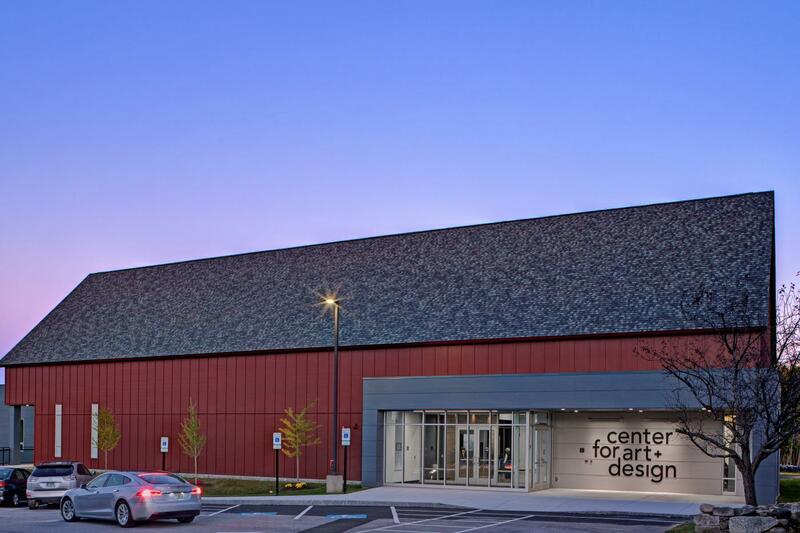 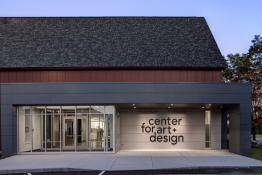 Design for the new Center for Art + Design was provided by The S/L/A/M Collaborative of Glastonbury, CT.